I’m feeling quite spoiled, I’m on a girls getaway…walking the beaches of Marco Island, Florida. It is usually a family destination…one that brings us together for holidays, weddings, and extended family time. It was my Mother “in love’s” favorite place, and I miss her so much, though I feel closer to her here. As we walk the sandy beach, I find it impossible to ignore the Glory of God as we look toward the vastness of the sea and the intricate detail of the of shells at our feet. What a creative an astounding God we have! My friend, picked up this “vertebrae like” tube, and inside each pocket, found tiny little conch shells. What? Mating and egg laying occur during the spring and fall migration. Internally fertilized eggs are surrounded by a transparent mass of albumen, a gel-like material, and are laid in protective flat, rounded egg capsules joined to form a paper-like chain of egg cases, commonly called a “Mermaid’s Necklace”. On average each capsule contains 0-99 eggs, with most strings having 40-160 capsules. 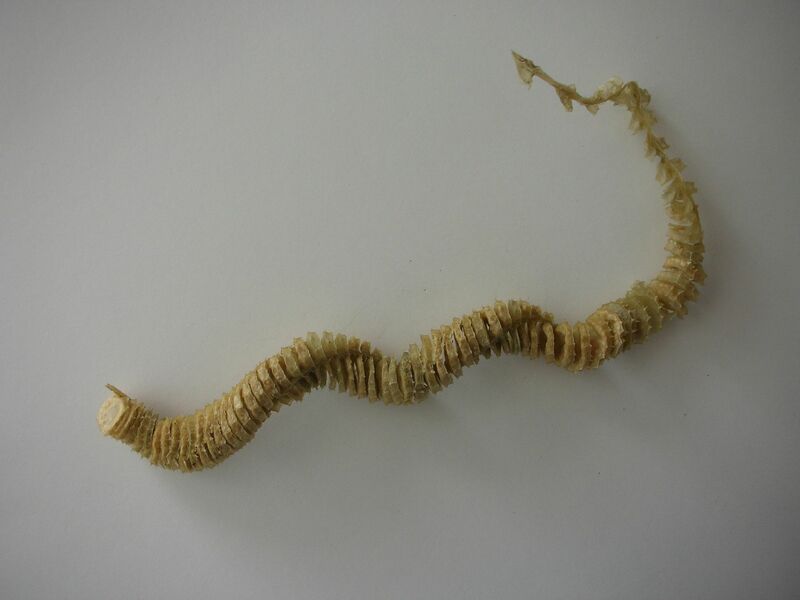 After laying their egg cases, female knobbed whelk will bury one end of the egg case into the substrate, thus providing an anchor for the developing fertilized eggs and preventing the string of egg cases from washing ashore where it would dehydrate. 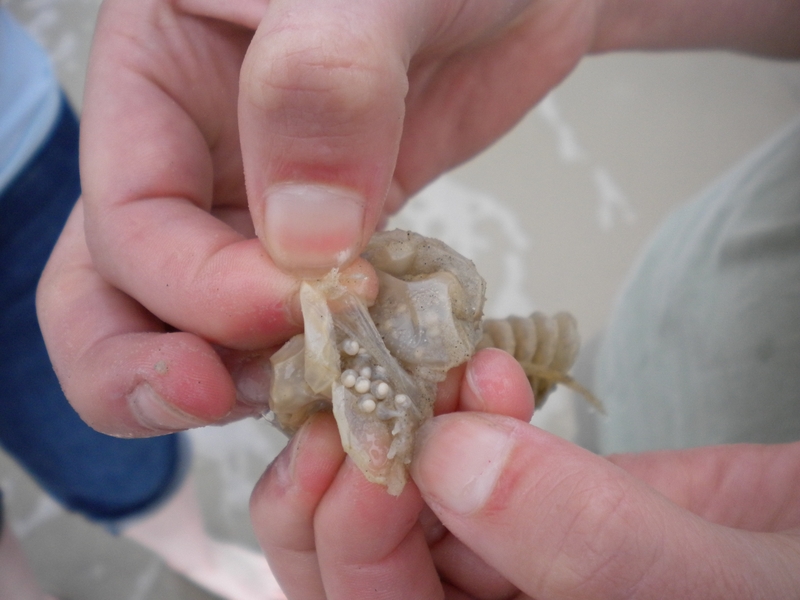 Fertilized eggs emerge as juvenile knobbed whelks approximately 4 mm in length. CRAZY! How can we deny our great God, when we can see miracles like these all around us? & don’t get me started on the sandollar! This passage in Isaiah is reminding us that as the vast waters cover the depth of the sea – the knowledge of The Lord will spread like deep, flowing waters, until the earth shall be persuaded and covered with it. One day we will have a correct understanding of the existence, perfections, plans, and authority of our God. But for now, I can’t help but believe, for all I see.